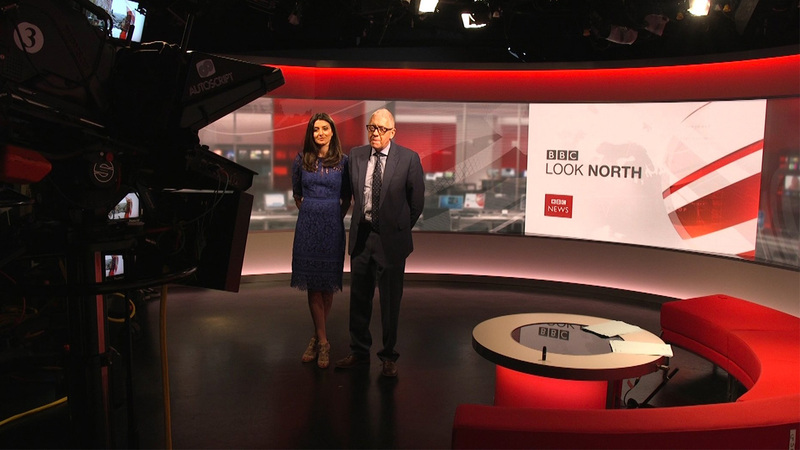 “BBC Look North,” the regional news program produced by BBC Yorkshire in the United Kingdom, bowed a refreshed look this week. Broadcasting from Leeds, the program covers Yorkshire and North Midlands and is part of BBC’s regional television network. 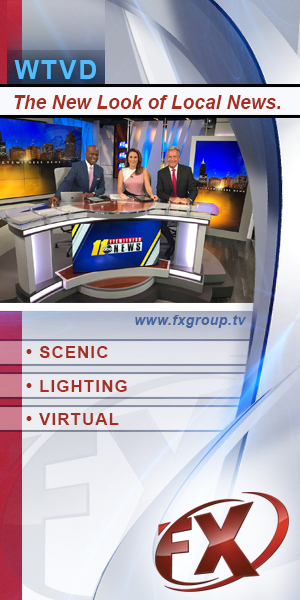 The refreshed set, from Jago Design, includes a sweeping video background created from six displays. This upgrade gives the program a sweeping canvas for content, with the video wall used for both topical graphics and the standard BBC newsroom virtual set extension. The set retains the previous curved couch with the presenters mainly standing during news bulletins. Musically, the program opted for a different cut of the BBC theme by David Lowe, with new opening titles also debuting. “BBC Look North” celebrated 50 years of broadcasting in March.